The concept of employee engagement is simultaneously becoming more important and more difficult. The competition for quality healthcare workers has only increased and shows no signs of slowing down. These are the same people that are receiving (on average) 120 emails/day, trying to keep up with social media and leading busy personal lives. For these reasons, if you’re responsible for employee engagement, you’ve got an unbelievably important role in your organization. As a communicator, you know how valuable personal, sustained engagement is to your organization and staff. But many times, you are relying on instincts and incomplete data to make decisions about how best to engage. To give you the answers to the test, we looked at the personalized newsletter engagement of three of our health system clients. During April of 2018, we studied our clients’ content, categorization, open rate, and click rate to see which pieces of content resonate the best with the varied healthcare audience. Over the course of our research period, our clients delivered 4.45 million pieces of content to their audience, giving us a wide data set to draw on. Opening a message is great, but ultimately, you want your audience to click and take action, so our best practice recommendations are based on click through rate. For the first time in history, healthcare has surpassed manufacturing and retail to become the largest source of jobs in the U.S. and the growth isn’t slowing down. According to the Bureau of Labor Statistics, 10 of the 20 fastest growing occupations for the next decade are in healthcare. Much of the growth in the healthcare sector comes from explosive rise in the numbers of hospital administration staff. Physicians for a National Health Program examined the growth of jobs in the healthcare sector from 1975 to 2010 and discovered that number of physicians in the U.S. grew 150%, roughly keeping pace with the population, but hospital administrative jobs grew 3,200% in the same period. Healthcare is a local business, and competition for talented, educated, and skilled nursing staff is tight. According to a 2018 survey from NSI Nursing Solutions, the average cost of turnover for a bedside Registered Nurse (RN) is $49,500. The same report says the average turnover rate for bedside RNs is 16.8%. That’s up 2.2% from 2016. Those two percentage points can cost your hospital big bucks. NSI’s research shows each percent change in RN turnover will cost or save the average hospital an additional $337,500. According to the latest benchmarking report from Newsweaver, the average internal communications click through rate in the U.S. is 6%. Our healthcare clients’ most popular topics are a mix of education, operational information, and team celebrations. On the other end of the spectrum, these content topics don’t excite or engage our healthcare clients’ audience. Sentiment Analysis is the process of computationally identifying and categorizing opinions expressed in a piece of text, especially in order to determine whether the writer’s attitude towards a particular topic, product, etc., is positive, negative, or neutral. 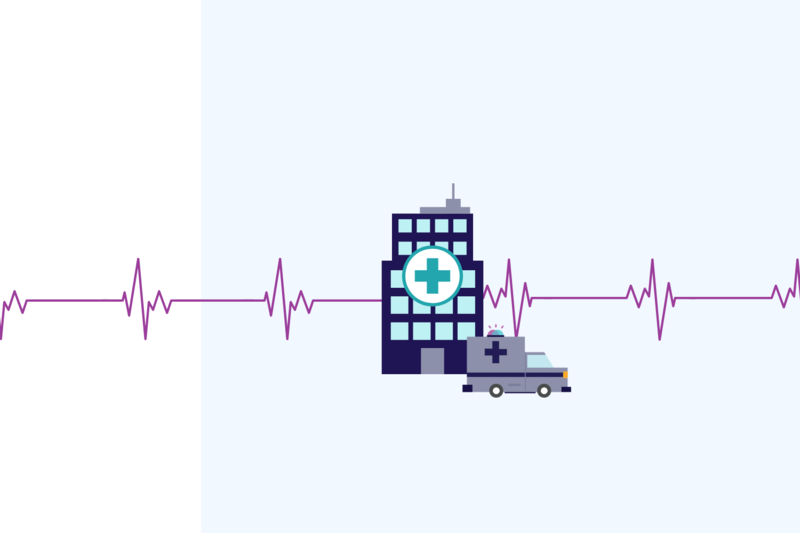 We took a deep dive into the content our hospital clients were sharing with their staff and performed a sentiment analysis to determine how the organizations’ most popular events, updates, and opportunities made their staff feel. The results surprised us. If you want to give Sentiment Analysis a try, check out these free tools. IBM Tone Analyzer – this is a demo of the IBM product but works perfect for testing out your headlines, tweets, and email messaging! Stride – this is a 3 in one tool. You can analyze text, identify keywords, and produce summaries in seconds. Other options – there is a plethora of analyzers out there! Some can be pricey or need tech support to get started. Our analysis shows that the information women and men are interested in hearing about from their corporate communications team varies in surprising ways. Here are the top three favorite topics for each gender by engagement. Overall, newsletter open rates for male hospital employees were 10% lower than their female counterparts. A hospital is not an 8-4, Monday through Friday operation. Why should your employee communications be? Even the timing of your messages could be perceived as a slap in the face to those folks working second and third shift. The best time to send your employee newsletter is the time that works for them. Here’s the top three most strategic times to send your hospital employee newsletter. This surprise prime sending spot enjoyed a 26.50% click through rate. Looking at our data, staff were quick to open, click, and engage with these messages. Sending on Friday afternoons allows for your weekend and night shift staff to receive timely information when they are most likely to engage. Lunchtime is the right time for these messages. Associates opened and clicked these messages at 11, noon, and 1 p.m. The popularity of lunchtime emails, with a click-thru rate of 33%, demonstrates that employees are more likely to interact with your content when they have time to come up for air from their normal tasks. Last but not least, the old best practice of middle week sending shows up for our third spot. The surprise here is the later hour. This time enjoyed at 18.90% click through rate and seems to indicate that staff is more likely to engage with content during a shift change. Hospital employees are overwhelmed. Surveys, constant departmental communications, new regulations, processes, committee assignments, social media, plus their work and home life leave many staffers feeling underwater. Retention begins with engagement and your communications are key to that success. Communications should be designed to help employees and leadership feel more connected and informed. Look for ways to make your communications personal, inviting, and engaging, and you will see your retention and engagement numbers rise. Happy engaging! *Note: This content originally appeared as a downloadable whitepaper.